Github won't let me push my files? What are your favorite self-hosted business GitHub projects you use? Are private repos safe from email spoofing? Is there a way to automate the process of pushing commits to a repo which listens on the releases of another repo? Newbie looking for help with how to use cloned files/codes. Is there a way to run a git diff on two files that aren't in a git repo? What are the methods of improving your GitHub profile? Want help with your GitHub issues? Join the Pull Request club. Let’s help each other! Is Github overkill for a designing a basic music portfolio ? It seems most of the trending projects suddenly are chinese one!!! Find the repos I contributed to? Anyone has been/is going to the Satellite conference in Berlin? Opinions? Dangerous files / codes on GitHub? How to verify it? Have or know of a project on Github looking for contributors? Add it to our new wiki page! Would creating or updating a file with the API trigger a push webhook? This is great tutorial on Git and Github! It's a long one, for whoever wants to learn Git and Github basics. Anyway to link .md files directly to website? GitHub no longer supports Safari 11.0! Anyone else having issues viewing inynb notebooks? Can a repo on an enterprise installation be forked to an online github? Does anyone know any tools that allow me to periodically update GitHub repos to Google Drive or Dropbox? All in one or separated?? When merging a pull request, is it possible to edit a commit message? Need help undoing this change please. 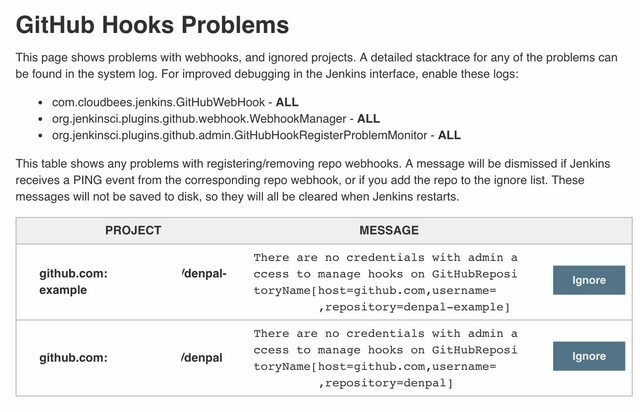 There were some problems while registering or removing one or more GitHub webhooks. Would you like to view the problems? how to re-engage with my old github repo? Github repo deployment to server solutions? Is it legal to publish a 3rd party web service that shows GitHub profiles? Anyone else is getting 'Unicorn!' @ https://github.com/? What do the different shades of green on a user contribution graph represent? I've hosted a page I made to GitHub but it doesn't work properly, it works fine on my PC locally but on GitHub the nav-bar doesn't work properly on smaller screens - it won't expand and also scrollSpy and smooth scroll doesn't work? why is this? How can I step thru each commit in my project to replicate the thought process of another coder? I am developing the website for my parents’ restaurant. Should the repo be private? What could be the reason of this error message in the Github-plugin in Jenkins? I am using my personal access token as a password. Does a personal access code as a password in Github circumvent 2FA? Why do commits add reference to other issues? is there even a mod here? Super dumb question. How do you update files easily? What is Git and GitHub? If you are new to Git and Github, read this article, it's very helpful.